nose that fits under the item being lifted or lowered. Operating the handle moves the lifting mechanism up or down onto each hole in the steel beam. Let there be no doubt about it, everyone who takes a 4X4 into rough terrain should carry a high-lift jack and know how to use it. 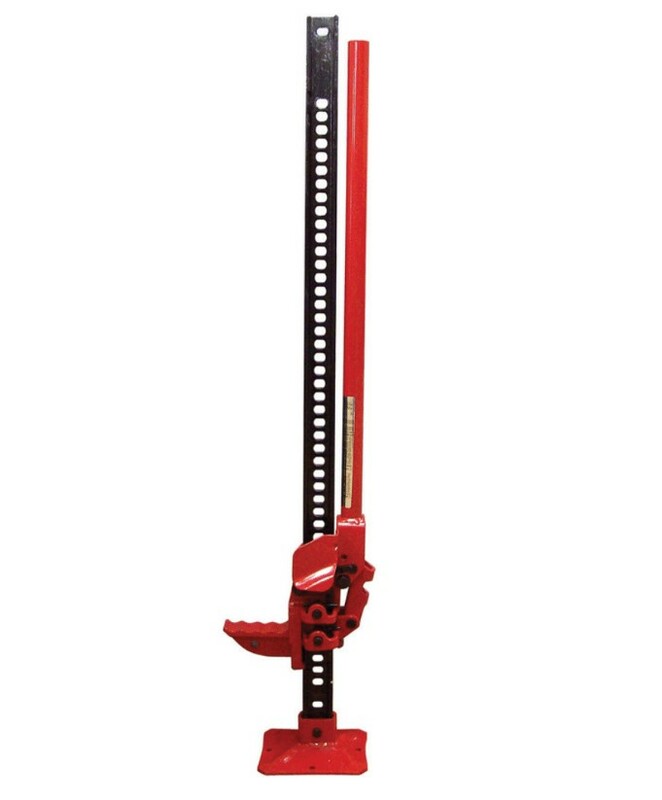 The JACKALL high-lift jack is far stronger than a traditional high-lift jack and bears no resemblance to a chinese "farm" jack, there are a full range of spares and accessories for the JACKALL high-lift jack.